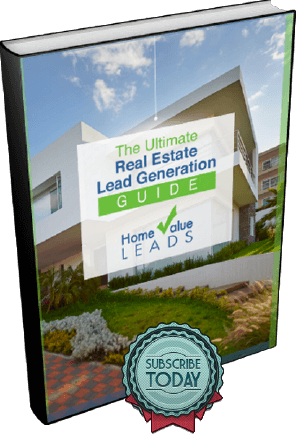 Thanks to your partner Home Value Leads, you now have a listing appointment with new sellers. At the listing appointment, you explain the CMA and present the comps to the sellers. After giving your suggested price range for the house, they pull out a Zestimate that shows the value much higher than your estimate. Do you groan in disbelief or seize the opportunity to show your skills? Here are three ways to combat those dreaded incorrect values and educate your clients on the Zestimate. 1. Explain the difference between a computer-generated report and a professionally crafted report. A fully automated report has limitations. A computer does not know or understand the intricacies of houses or communities. For example, a computer cannot view the interior of a home and determine whether it is outdated and unkempt, or remodeled in a trendy style with the latest upgrades. Only you, as the agent, have the knowledge. When you created the CMA, you hand-selected each comp according to your professional knowledge. You chose only those properties that are truly comparable, based on your experience with location, size, and age of home. You also took into consideration unique subjective factors, such as: which side of the freeway it’s on; distance to a prized elementary school in a specific school district; and noise from transportation or industrial areas. These are factors that a computer cannot calculate because they require a smart, skilled professional who knows the neighborhood intimately. Partially computer-generated reports, such as those done with RPR (Realtors® Property Resource), begin with computer data. Then you add your input based on professional skill and knowledge, to arrive at a semi-customized report. This technique is similar to creating an appraisal because each comp feature that contrasts the original subject property is assigned a weight or a value. 2. Produce evidence that shows the history of erroneous Zestimates. Top agents research the Zestimates versus actual selling value of recent comps, and create a chart that shows how far off the Zestimates are from reality. By analyzing the data, you will get a sense of your actual market values and the unreliableness of Zillow is not a licensed real estate appraiser and they admit their Zestimates are not accurate. Refer to their site to view the margin error, which can be quite a large percentage. The sellers can clearly read their disclaimers. 3. Set the sellers’ expectations according to the market. Let them know that you are simply the messenger of the market. You gauge, analyze, and report on the market’s conditions, and help them respond accordingly. Let them know why they can rely on you, as the area expert, to understand the market and help them get top dollar for their house. Working with new clients requires a measure of trust. When there is seeming proof that contradicts your expertise, it’s more difficult to build confidence in your skills. Some sellers may be skeptical, thinking that perhaps you want to price it low to get a quick sale so you don’t have to work hard. Therefore, to become that trustworthy professional they can rely on, you may have to work harder to earn their trust. We just showed you three ways to combat Zestimates and educate your clients. At your next listing appointment, be prepared to win that listing!